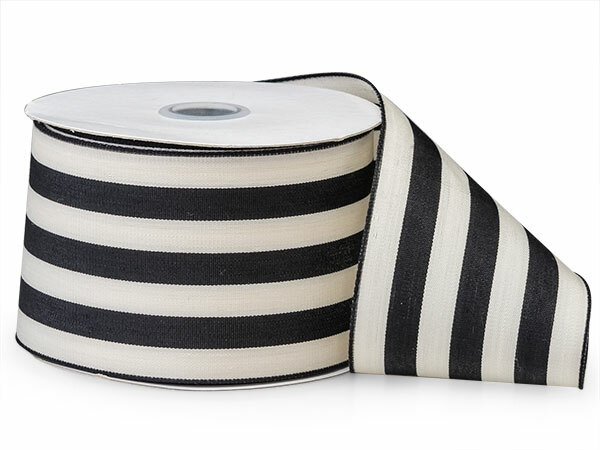 Black Cabana Striped Ribbon makes super cute bows and one of our most popular ribbons! A classic! 100% polyester.